Last day and up to the new year! Oh boy, I am late this morning. Didn;t hear the alarmclock, so slept till 10..30. this morning! And then Jan was up too and we switchted on the tv and suddenly the digital stuff was disappeared. So we had to reset that and then had to order again our favourite list you can put up in the tv. Oh, not a nice way to wake up, but it all works again, that's something to be grateful for! All the tecnique stuff is great and sometimes eases the life, but it can be also a pain in the ......... well, you know!!! As long as it does ts job, wonderful! When something is stuck, oh whee, it takes a lot of time and almost sometimes nervous break downs. LOL. So this is the last day already of the year. For some it may have been a good year, for some not so good, we cannot always influence that. I surely hope the year 2010 will brings you all lots of happiness, above all a good health, just may it be a year that flows a bit smoothly for everyone!! Amen! And for the last kit of this year I have a New Years kit for you. Hope you will have lots of great pictures taken, and that you can use a bit of the kit. I named it "Ring in the New Year". Now enjoy New Years Eve and we see eachother again next year! Probably I will be there on Monday again, another tiny break will be good for me and surely for the designing! Great news at the end of the year! I got a great email from Susan from http://suruha-freespirit.blogspot.com/!!! She's become a granny again from a little grandson Kaleb. Oh he looks so beautiful! I hope she doesn;t mind that I put on the picture she sent me, but it's such a beautiful event, a new life still full of innocence. Isn't he adorable????? CONGRATULATIONS Su!!!!! Hoho, i did the shopping yesterday and I think I have all for this week, at least I can stay in untill next year. After the shopping I got busy in the kitchen to prepare the porc rost and the rest for dinner. So in fact I wasn't really productive on the designing yesterday. But I did had a chat with Snowy, at last after some time again, we must keep the conncections alive! I think we will stay home with New Years Eve. There should be some nice programs on tv to watch and it's better for the cats too! They get a bit nervous with the fireworks and I want to keep an eye on them. But we will have a good view out of te window at midnight of some firework, every year some people in the neighbourhood have some great firework! And I have some nice snacks in the fridge for us, so we wll be fine and comfy. They expect that the weather will become colder again, may be even with snow again. Well, as much as I like seeing snow, I am not eager to see it fall again. In fact, snow only is nice and beautiful if it stays untouched, like in the fields, the forrest or parcs. But in town and on the roads it;s only making mess and danger too. And I and Jan too are heading to our birthdays again! Yeah soon in the new year we will be older again! Better not to think too much about it, we are getting into the denial process again LOL! No we aren;t old yet, we still feel rather young, at least the mind is hahahahaha!!!!!!! And what about a kit? Yeah I still have one for you and even tomorrow there will be one, but then I first will have to make new ones, hopefully the first weekend in the new year will be an inspirational one concerning the designing. This one is a rather versatile kit I think, which will be nice too after all the holidays kits. I named it "Old Friends". Now today I will try to do a bit of work around the house, usual stuff, you know, yakkie, but also will certainly spent some time on th computer. You all have a great day now! I am still amazaed about the speed this year went by. Just a few more days and we are living in 2010 already! As everybody does, I too hope it will be a good year, with at first a good health and then hopefully not too many nasty events. I just was at Edna's blog and her finale of the year sure isn;t the happiest one! She is having trouble with some leaking waterpipes that do need a quick repair! Poor Edna, she already had her share of house repair and now this on top of it. Oh, it;s nice to have your own house, but at times it can be a real pain in the ....................!!! Now toay I should go to do a little shopping, which isn;t a bad thing, I think it's time to get me a fresh nose again! Oh, I don;t have to worry about dinner today. Jan was at the cafe yesterday evening where they had their monthly lotery and he came home with a good piece of porc roast. So this afternoon I will prepare it in the oven and no braincracking necessary for me about what to make for dinner LOL. Then I started a new kit yesterday, which is progressing in small steps, but at least a little inspiration is coming back. That's about it for today,not much I know, but there isn;t an adventure to tell every day(and I am happy to say so LOL).So better I post the preview of the freebie, named "Spring in Winter". I sddenly had a bit enough of the darker colours of the month of December so I made a kit in some lighter colours. Hope you can do something with this one. Have a great day. It seems ages that I did write a post, but it's only 3 days! I did turn the computer on at Christmas, but i didn;t spend hours on it. No, I behaved myself, just now and then popped in to check mail and do a tiny little bit of designing. I really hope you all had a great Christmastime! The nicest thing of it aren't even the presents for itself, but the idea that somebody spent time on you, thought about you, so that you received a nice card or a little present. That's the most important thing: that people remembered you! Oh my, we had a great Christmas Jan and I. The only thing that wasn't completely well, was me. I think I got perhaps a little cold, I noticed it already Thirsday evening. My stomach wasn;t working as it should, so Christmasday I did eat a bit of all the goodies, but not too much, it just didn;t seem to "fall" right. Oh well, Saturday it was already a bit better and yesterday already almost to normal. Nothing to worry about. Oh another surprise arrived just in the afternoon on Thirsday. Another package from America. That was from Marianna(we usually call her Tutudragon) also a member of the group of the forum and she send me some really yummie stuff for Christmas. Special kind of sweet cookies you could say, I didn;t know them, but I LIE them. It really was a Christmas full of surprises this year. Whee, we had such fun unpacking our Christmaspresents from Edna! Oh, we were GOOOOOOOD! We waited with it till in the afternoon at Christmasday! I made a few pics and even Jan did a few, although he still is having trouble with the digital camera, LOL. It's a pity a picture I did from Jan didn;t turn out completely well, but you can still see what he was up too with the present of Edna. She sent us to fleece blankets, but they are more kind of morning gowns of so, great things, I never saw these in this model! And Edna sent me a calendar made with pictures she took herself during the past year, sooo lovely! Oh whee, what a laugh Jan and I had with Edna's fleece blankets! You've made our day, really! And then I was checking every now and them the mail, waiting for a message from Edna, that she unpacked her presents/ And it was there. I was so happy that I was able to bring a little bit of extra joy to her home. And she sent me a few pics too!A layout she sent me was of Moo! I feel as if I am the last of the 3 musketeers, posting it. Snowy and Edna already showed it on their blogs but here I am too: Look at Moo, showing of his apron from me and the oven glove, cook-hat and wooden spoon from Snowy! Doens't he looks great in it? AndEdna also sent me a picture of herself, holding a candle holder I gave her, sweet of her isn;t it? Christmasday I made us a dinner from all little bites, like the protobello mushrooms, then avocado with little shrimps and as dessert Tiramisu. And then loads of French cheeses and also some smoked salmon.! Yummie, it tasted all very well! And suddenly Christmas is over, after looking forward to it for such a long time. And it's almost not to believe that now just ina few days, the year 2009 is gone too! Well, it just is like that and we have to accept it. I am slowly getting into designing again, oh whee, this computer crash not only whiped away my files but also inspiration, it seems! No, not really, but I am still in the period of wanting to make an element, or a paper, have a certain idea for it and then just don;t have the right stuff yet for it. But I am not complaining really, I already have gathered again lots of resources and oh my, my mail already was loaded with links for resources, all sent to me by a freind of the forum, Nana. That girl was really nuts, she must have spend hours to gather them and then sending them to me! But so sweet of her, all the girls of our group are real great ladies! Okay, back to "normal"business again, although this is still a bit of funny week, these last two weeks of the year with the holidays in it, always seem to be a bit different. Somehow you loose a bit track of the days, or is that just me? LOL. I do have a kit for you, all in purple( I seem to like that colour for kits, hahaha) and I named it "Love forever". It may happen that in the time to come, I may not have a freebie for you every day, I hope you can understand that and still will be visiting me. I will try not to let that happen, but I also want to make a new stash again, I am terribly behind with all kind of things, the forum among that!. So we'll see how it advances, it's not because I don;t want to do the kits anymore, just takes me a bit more time due to all the events of the computer. But don;t feel sorry for me, I get a lot of help and already am on the good way back LOL. So here is the preview of taoday's kit, hope you like it, and wishing you a great day! Can you imagine, just one more day and Christmas is there! Looking so long forward to it, it's suddenly there and before you even know it it will be over again. Sooo sad, that you cannot stop time for a moment sometimes! And today is the day to do all the last jobs for Christmasday. So I will try to hurry up a bit and leave the house a bit earlier than I usually do, and I an prevent that way a little bit the big crowd in the supermarket and elsewhere. I have to do this shopping, cause some of the things I want for dinner tomorrow must be as fresh as possible. Afer I returned I will be a tornado (or try to LOL) in the house to do some cleaning up like dusting, and hoovering. That all done I think I can have my Christmaseve relaxed. There should be some programs on tv for Christmas, like some shows with a bit of Christmassongs. It's not Christmas for me, when I didn;t hear a few of the old fashioned Christmas carols. And then tomorrow when I woke up I will light on the little candle in front of my house icon and wish all the loved ones who passed away a Merry Christmas. And in the afternoon, when it's getting real dark all the lights will be on and I will light a lot of little candles and then Jan and I will have our little Christmasdinner. And of course, somewhere during the day we will open our presents, and I hope to make some pictures of it.! So you see, all counted together a lot to do, certainly today! I probably will not be blogging during Christmas, so if I am up to it we will meet again on Monday. Whoooo, it will be a long-weekend break then. Not too bad, cause a lot of you will have other things to do too! Now let me first show you the little card I made for all my loyal visitors and with that thank you all for coming back every time and for all your lovely comments. Now I really must get to the freebie and then get myself slowly in the mood for putting o some clothes and then get runnig around LOL. Also have to post a little package for a special person so that it hopefully will arrive in time. I cross my fingers that it will be not too crowded at the postoffice today! Okay, here is the freebie I announced already yesterday. It's the last Christmaskit for this year, in an all different colourscheme. I named it "Hark now, hear the Angels sing"after the Christmas carol, I love to hear. Have yourself a merry Christmas, in peace and harmony and we will meet again next week! I arrived safely at home! Oh my, it was a kind of adventure yesterday, the shopping! When out stept out of the frontdoor it was half snowing half raining, but that stopped after a few minutes. It was rather slippery to walk, so had had to to cut down my normal walking speed. In the little streets almost all the now was still there, but the worst was going off and on the sidewalks, because there was a heap of wetty mud/snow to plough through! But I managed, it was'n't yet too diffucult with my empty shopping car. But returning home was a different story! Jan already thought I did make a tour around The Hague, because it took so long. Imagine, I had a full car, rather heavy and stamping through snow and walking on frozen underground wasn't so easy at all. I REALLY was glad when I arrived home. I was pooped out a bit, I used some muscles I didn;t know I had! So after I unpacked all the stuff I made myself a nice cup of coffee and took it easy. It looks as if it'melting now a bit, so I hope that it will be not so messy anymore tomorrow when I have to get the last things. Oh I have to pass on a birthday wish for a forum friend Suruha, from http://suruha-freespirit.blogspot.com/ it's her birthday. I made her a card which I posted already on the forum. Hope your day will be birght and happy Su! That's about all that I have to tell today. Not too much, but I had enough after the computer crash LOL. I am happy it still works, may it stay this way! Today I have another Christmaskit for you, I even will have one for you tomorrow(Somehow that is one of my favourites!). This one is a traditional Christmaskit, I named it "A Classy Looking Christmas". I hope you still have some place for another Christmaskit LOL. Enjoy your day, don't get streesed in making the last preparations for your Christmascelebration!! Yeah, amazing, the computer is still working till now! I even can get updates again and they are even installed(missed that too for a while). And yippee, I have windows messenger again, which for a while I couldn't install anymore. So slowly I am getting al the programs installed again. Could anybody tell me this: If I download the free open office program can I open and see pps attachments from my incredimail program with it? Should be great if by only clicking on the attachment it opens in a viewer. Perhaps somebody knows. Yesterday I did also some home stuff, but also was busy a lot with getting resources again. But I even started making my new kit for the daily downloads for February. Advancing slowly, but I am on track a bit again. We still have snow around here, may be there will be some more during the days to come, it might be that at the coast it will be wet snow or even almost rain. But as it looks now, we will have a white Christmas and we didn;t have that for a long time anymore.! I have to go out today to do some shopping. That will be a bit of a slippery experience, I am afraid! But I rather to it today then waiting till Thursday when everybody is doing the last minute grocerie shopping!!! I think I already know what we will have for diner the 1st Christmasday. As we are not really big eaters I will make us some smaller plates, in different style like porcini (big Italian)mushrooms filled with mozarella and ham in the oven, and perhaps avocado with shrimps and french bread with a few different kinds of French cheese and I think, we will have enough. But it easily could change with me you know. When I see something else that appeals to me, I just do something else ROFL! Okay, I should be getting ready a bit early today, to do all I want to. Better I give you the freebie now, a small Christmas kit named "Three Kings". I think you can guess what it is about LOL. I thought, I made already enough"general"Christmaskits and perhaps it would be nice to have one a bit more to the point. Hope anybody has a bit use for it! Have a great day and be happy: it's almost Christmas! What a mess, computer crash!!! I called Rob, my brother in law to ask for help. He came early afternoon at about 13.30 or so, and installed himself at the computer. Whee, nothing worked anymore, the only thing still working was Mozilla Firefox, so I could send a message via the forum to announce that probably I couldn;t make it to the chat. Okay, Rob tried all kind of things, and I got more nervous when time passed. This kind of thing isn;t really not good for my health, no kidding! Only good thing was that I still could burn my photo's, so they are safe. As I was dummy enough not to make backups, you know what is the consequence! Finally nothing else we could do than re-installing Vista from the recovery-dvd, glad I had that! So I lost EVERYTHING, all my scrapwork, all resources, etc.etc. Rob is such a sweet guy and so determined to make it allright, so he stayed reparing and installing till all worked again and he left us at about 03.00 o'clock at night!!! I don;t know how to thank him for his help, but he doesn;t accept anything!!! Well, Jan and I have to think about something, we will find something, I am sure! So ladies, I will have to catch up designing slowly again(I was happy I already had uploaded all kits from december to mediafire, so I have those links again) and my friends Snowy and Edna right away offered to supply me with new stuff if I wanted it, Snowy said to me to keep my eye on the postman next week and Edna will zip all I want and send the links to me. Aren't that great friends??? I told them to take it easy and not overdo it, I already started yesterday downloading all kind of CU freebies again, and brushes too, so I can start making my own overlays and so again, and I am sure I will have loads of resources again in no time. Don;t know what caused the crash but Rob thinks it might have been a virus or something like it. Although I have good protection on the computer it always can happen. Okay enough complaining, I am so happy I can use the computer again, may be it was somehow a good thing, I can start over again, organize all things right away better and the computer is faster again. During the weekend we got really serious snow! Although I am not a real snow lover, (because of the mess it gives when it starts melting, yak) it is a beautiful sight looking out the window and seeing this white world. I know, it gives also a lot of trouble, but putting that aside for a moment it is great to see. So yesterdayI was brave and went out for a little while to get me a fresh nose! A duck a bit confused of all the snow and the water that was frozen! A nice place near to us, look at the sky!!! More snow coming! And this is me, with my friend the snowman! You can click all the pics to have a better view if you like. And yes, I do have a freebie for you, not a Christmaskit(I will have them later in the week) but a nice one I think. It's named "Magic Wonderland". Now you all have a great day, I will be busy enough, LOL! And still I don;t have to forget that there are also other things to do, besides the computer, ooops, sometimes hard!! But I will be a little bit a good girl, okay? Only today and three more days left to Christmas! And then I can look into my presents, whoopeeee~!!! I got nervous this morning! I woke up fine, had the coffee and then went to the computer to do the blog. But................OH WHEEEEEEE..........first the computer made a really funny rattling noise! Okay, it sometimes seems to happen, so I shut down and started again. Okay, better, but then..............NO SCREEN!!!!!!!!!! Oh, my God, that's NOT something I like to experience in the morning!!! Okay, shut down the whole thing, tried again and NOPE, nothing again! Still NO SCREEN! Well, what to do then? I first checekd if all the connections were still where they are supposed to be. Nothing wrong there, it seemed to me. Hmmmmmmmmmm, getting a bit nervous already! What now??? I tried to phone my saviour in computer trouble, Rob, the brother of Jan. No answer on the phone. WHEEEEEE!!! Gosh, I already started to think my screen was dead and passed away silently. I got the book out for trouble shooting, looked in it, understood even what they were telling me in the text, hahaha LOL, but thought.. "I better wait a bit with this". Me not a wiz kid at all as it comes to computer business. I started to utter some less nice words, gave it up, and went to the couch for a moment to take a ciggy to calm down a bit. Then I thought I should give it another try, and OH WONDER, MIRACLES DO EXIST!! Suddenly computer worked as it should AND THE SCREEN LIGHTED UP AGAIN!!!!!! With already having some sweat on my forehead, I gave a big sigh of relief, whiped away the drops of sweat and talked to my computer and screen that they were GOOD children and that they should work properly the rest of the day(I take it day by day LOL). It seems to work, till now ROFL.!!! Not bad isn;t it? 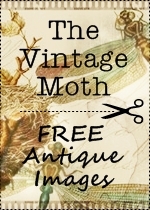 You could save yourself some money and acquire some really beautiful things! Oh yes, I am sure you noticed I changed my bloglayout! Isn;t it sweet?????? I found it at the site of Donna of http://freedomtobark.blogspot.com/. I was such a dummy, I never noticed that she makes also lovely bloglayouts. Just take a look and you know what I mean. So I came across this one and fell immediately in love with it and right away changed my bloglayout. I am still recovering from the computer shock, believe me! So glad it all is to normal again! The more because this evening we have our chat again at the forum and I really hope everybody will make it this time, should be nice to talk to everybody and have a bit of fun too! The weather is still not too bad, at least here at the coast, the snow has partly disappeared already, but that is the tricky thing about it hen you go out. Especially on the footpaths, still here and there covered with a bit of frozen snow. Very slippery! And I do have to go out today, hmmm, it will be a slow walking this time and keeping your eyes open! We did get our first snow yesterday night! I was up in the middel of the night and looked at a window and it was not dark, but it looked as if dawn was breaking through already. That was strange so I went looking through the window in the kitchen and saw the whole garden covered with a white blanket! Ohhhhhhh, how beautiful! But this morning already half of it was gone again and I think most of it will be during the day. Perhaps there will be a little more today, but that's really not sure. If it really had been a thick cover(as it was in other parts of the country) I might have considered to go out for a while to take some winter shots, but I think it will not be worthwhile yet today. And hei-ho, I received an award!! This one is from Zaza, from http://scrapandtubes.blogspot.com/. That was a nice surprise to receive in the email! Today I don;t have a funny story to share, like the one of the turtles! No, not every day there is something really funny to read on teletext! Although I think there should be more of those on it, it certainly helps to give your day a good start LOL. On to the kit then. Today I have a "normal"kit for a change. It's a rather versatile one named "Modest Chic". Have fun with it. Let's see if today some more snow will fall, it's a beautiful thing to see, but it also is causing a lot of problems on the roads. Okay, you could say if you want to have something beautiful, you will have to suffer LOL! You all have a great day and the ones who have snow also, be careful, because this beauty of nature hides danger also in it! Brrrr, it's still freezing!! I was out yesterday and even that it was rather chilly, it was nice weather. It really freshed me up! In Australia there is a big aquariom with turtles in it. Well, no big deal, if you only read this. But hey, there is more. Towards Christmas the turtles get a little extra and that is Brussels sprouts!! It seems they adore it and it's also very good for them, it has a lot of vitamines in it and other minerals that are very good for turtles. Only there is a side effect when they get their treat as the staff there noticed last year Christmas! In the middle of the night , just at Christmas, the alarm went off and they all speeded to the aquarium to see what was wrong! All was well, so for a moment they wondered what caused the alarm to go off! But now they know!!!!! When the turtles eat their sprouts, they are getting flatulent! ROFL. And with a lot of turtles, you can imagine how the water looks like??? Bubbling and bubbling etc. And so the waterlevel got higher and higher and reached the sensors for the alarm!!! Can you see it before your eyes????? A huge aquarium, bubbling like a oversized jacuzzi!!!!!!!!!!!! So this year the staff was prepared! They brought donw the water level( left out a LOT of liters of water, hahaha) so now their probably will no problem with the sensors when the turtles get their treat again for Christmas! Don;t you think it is hilarious??? Think about it, you are there, looking at turtles that are farting all the time. I sat alone in the room, but had to laugh out loud! Then this morning again I received two cards of Minky from http://thecontinentofsulina.blogspot.com/, as beuatiful as ever! You sgould take a look again there and this time turn on your speakers, because she has installed a little video playlist with some really relaxing background music. Great!! Today I just have a minikit for you, still Christmassy, it was a challenge we had to make at the forum. Use some brushes to make ornaments or overlays or whatever with it, so I ended up in making a minikit, with 4 papers. two quickpages and some elements, and named it "Merry Christmas". Hope you'll like it. I give you a detail image also with the preview, so you can see it better. Now have all a lovely day! Yeah, it's really getting colder now. It freezes over night and coming week they predicted that even at daytime it may just stay just under zero or only 1 or two degrees C at the coast. It's not so bad, as long as it stays dry. But they also said there might be a bit of rain, or even a bit snowfall and that will be not too nice! It could get slippery on the street! I got good news this morning by mail, that a package arrived at a friend for Christmas. I am always happy, when it arrives safely and now the tantalizing moments will start! She has orders to NOT unpack them untill Christmas, hahahahaha!!! I got a bit busy yesterday, as a good girl should do once in a while. I did a load of laundry, I also ironed the stuff that was waiting for it(in the mean time I had some lovely Christmassongs on at the cd player) then I made the eat for dinner, which had to be on the stove for a few hours to become tender. It succeeded well, and we still have enough for this evening, ha, easy cooking LOL! Finished up another kit and started with another one. Oh I even had a challenge done finally! We had to take a picture of our christmastree and then take a picture of ourselves and make it pop out at the layout. This was the result. The papers are from a Christmaskit of mine yet to come! And today I have another Christmaskit for you! I told you I made a lot of them, so there will be lots more of them. I just like to make them, but I think I overdone it a bit, ROFL! Well, you always can put away a few on a cd for next year!! This one is a bit about the magic from Christmas and is named: Christmas is a Magical Time. It is so, isn;t it a bit??? Or at least it should be for a part! I think the best part of Christmastime is that we all can feel ourselves a bit child again, to see the wonder of the lights, the beautiful decorations and the fun of little presents put under the tree and to wonder what they will hide in the paper. LOL. Although we shouldn;t forget he real thought behind Christmas and realize that not eveyone is as blessed as we are, even if we have rough times, there are loads of people who have much less than we still have. Hmmm, that was just a little thought that came up. Today I have to do just a bit of shopping, only some regular things, so I hope to finish that quickly. Better to wrap myself in a warm coat and a cap and I will be allright! You all have a great day and enjoy this Christmastime! Partly bright skies, but already a bit freezing! It's definately getting a bit colder here! Doring the night it's a bit freezing and also at day time it's just a few degrees above zero. It seems a bit of winter is slowly accessing this part of the world. Althugh I rather like summertime, I don;t mind too much, as long as it stays dry. Looking out of the window I see for the moment a blue sky with some sun shining, but also a few grey clouds approaching. They said it could happen that today there wil be a bit of rain, may be even wet snow, and if it holds on it should turn into a bit of real snowfall. Brrrr, we will see if that happens. 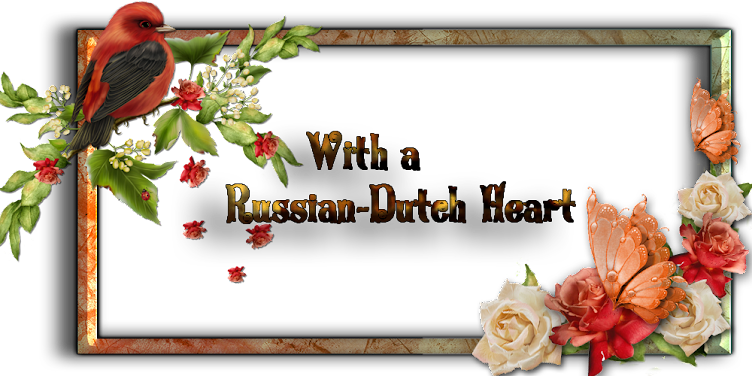 Yesterday I couldn;t do too much on the designing because we had a visit of Rob, the brother of Jan. We could prepare ourselves to it because he didn;t came but mid-afternoon LOL! We don;t see eachother a lot, so if he comes over there is some catching up to do and it's mostly Rob who talks then, hahaha. He is such a sweet guy, that you cannot be mad at him if you wanted. His son was with him too but he's always very quiet. He likes to sit and listen to us and he seems to have a great time by just doing that. Well, he has a hidden smile sometimes when we talk with his father LOL. Oh I had to laugh to at a time. Dominique, the son, had a phonecall on his mobile. I suppose the friend at the other side asked him where he was. Answer: "Oh I am at my auntie's"! Not : at my uncle Jan's or at my uncle and aunt, no, twice even "at my auntie's". LOL I must have earned a big credit and kind of respect over the years, may be because when he was a little boy I once gave him a good(not too hard) slap on his bump, because he wouldn;t listen to me and after warning him twice and telling him too that I don;t warn 3 times at a row, well it happened. After that, when he came over he never did anything out of order anymore, or when he tried, I only had to look at him and say to him: you know what happens if you get me angry, hey? So it must have made an impression on him! But he likes me it seems, if he comes to visit and I ask him to go out with me to do some shopping or so, he gladly goes with me. I think his father tries to do a good job with him, Rob had to take care for his son alone from the time he was about two years old and din;t always had it easy. I admire him for it, really! Well, when they come to us, I always try to do a little extra for them. Or they stay over for dinner and I make something they do not make for themselves, or if they come just in the afternoon I try to have something like little snacks or so. Yesterday I had a good filled soup and some french bread with garlic butter. Especially the boy eats then like two icebears LOL! It's nice to make somebody a bit happy with such a little thing, isn't it? I just came from the blog of my friend Snowy http://silversnowyraven.blogspot.com/ and she gave me a good laugh! She also is on Facebook, just to have contact with a few friends and to promote her scrapping kits a bit. But now it seems, she has messages from a row of men who are all interested in her!! ROFL! Well, she is not interested in this kind of messages, it;s even a bit annoying, I understand, but I had to laugh hahahaha. Then you should visit Edna's blog too http://missednasplace.blogspot.com/ , she made some pretty pics of birds. She makes wonderful pictures, she is gifted for that! And Minky http://thecontinentofsulina.blogspot.com/ made again a few lovely cards in Christmasstyle! Rofl, I;ve done my share of promoting again and now on to your freebie. It may not be one for everybody, but perhaps you know this weekend it was the holiday of Chanuka. As we had to make the colour challenge in the forum about this holiday, I will give you this kit, named it "Celebrate the Light". We were supposed to make just a little kit, or perhaps a quickpage, but as usual I was carried away again, so I ended up with a full kit. Hope somebody can use it. Now you all have a marvellous day! Yesterday I had a lovely relaxed day, so relaxed I just stayed in my pyjamas LOL! Aweful, isn't it? And then the doorbell rang! Oh whee, what's that? Gosh, it was Heidi with Danny, coming over for a quick visit! Well, I told them I had an "easy and lazy" day. so I was sorry for my outfit LOL. It was nice to see them again for a moment, lately we don;t seem to find enough time to hop over to eachother for a moment! Specially Heidi is very busy, too busy at times, I think, because she must always take care of herself, not to exhaust herself ! I looked at her yesterday and thought she was looking a bit tired, hmmmm, but a bit stubborn as she is, she wants to take part of everything taking place, and also helps a lot at the school of Séverine, sometimes too much. Today she is attending to a wedding, so this evening it will be Jan who has to go to the house to have a little walk with the doggie. They have to leave the poor thing at home, because the host where they will be today seems to be a bit allergic to pets. You guess, today I will have to be more energetic and I will be, I promise! I am enjoying so much the holiday decorations and all the lights, I am just like a child! In a way I hate this season, because of the weather, it's getting dark so early at day but the good thing is, that then we can put on all the lights and that looks cozy then! It isn;t perhaps to good on the electricity and environment issue, although, with all the Christmaslights on we really don;t need any other lamp so it compensates rather well LOL. Now today I have the second part of the Christmasday-kit for you. And then you'll have to come through the weekend without me, oh what a blessing for you, two days(normally) without my rambling ROFL!!!! I hope you will have a terrific weekend, take your relaxation if possible, it's important to do that sometimes! And you'll never know, may be you will find a little pixie to have fun with! Yeah, again some shopping done! I already wanted to go to our"rather cheep"supermarket for some time, but I;ll have to drag Jan with me, otherwise I cannot lift the full shopping car in and out of the tram. As usual, when I suggested it to him, he says no, not today, why do we have to go there, what do you need etc!!! Sometimes acting like a bit of grumpy old man, LOL. But at the end he comes intot the room, asking me if I am ready to go. Grrrrrmmmpppffff! Okay, so we went there, loaded quit some stuff into the car and I ws happy. You know, on Wednesdays there is also a little market in that shopping centre and you can buy some yummie cheese then, for not a very big price. So I bought that too. One lump of old cheese, one lump of VERY old cheese(oh yummie, that on a real fresh white sandwich!!!) and another piece of almost old cheese. We do eat a lot of cheese, as you can tell LOL. The weather was rather nice to us, at least it didn;t rain. I am glad we don;t have any snow yet, it;s much too warm for it still. I saw on Edna's blog, they had already a part of that! Oh, don;t get me wrong. I love snow, specially when it has just fallen, but then the tricky thing happens. Here at the coast temperature normally doesn't go very much below zero, so at day time the snow often melts away for a part and at night it freezes again a bit and then you get the messy stuff. At day the almost melting stuff, yak, and the left overs from that turn into ice lumps again , so also not easy to walk on! So I like it for a day or may be two, but then it's enough! Well, you can guess that I didn;t get much done yesterday on the computer, although I did finish finally a new kit I was working on, and I surely have to make some more stuff for you! Hmmm, perhaps I get new inspiration in the weekend. Today I'll give you the 1st part of a rather big Christmaskit, named "Christmasday", tomorrow you'll get the 2nd part. In fact, I used some of the papers for my bloglayout! I was rather happy with this kit, I can say! I hope you will like this one too. The preview is from the whole kit, and in both downloads there is a mix of the papers and elements. Now you all have a great day, I will try to be creative LOL. A lovely blog for your children! Oh whee, I really felt some strange muscles a bit protesting yesterday, LOL! I was lucky, I went shopping in dry weather! And oh my, fun yesterday evening when preparing some dinner. I bought some bacony like meat, but with lots more of fat on it. Yak, I don;t like that at all, but Jan sometimes adore having that for his dinner. But.... he always says I am not preparing them right(and I must admit, I don;t LOL). So he did it himself. He almost looked like a chef in the kitchen! I did the rest of the food, but meanwhile he was cutting onions and poking around in his pan, oh, whee, dumbo, me, that I didn't take a picture of that! It isn't happening that much! I made myself two chicken drumsticks, much better. I have discovered a lovely sweet blog, that would be great for your children and grandchildren(but also for us grown-ups it's fun!!!) It's made by Minky, from http://thecontinentofsulina.blogspot.com/. I'll give you the link to the new website, it has really some fun stuff, I snatched some of it for myself and posted the cards in the sidebar. If you click them you will be directed to her site, but I will give you the link too http://thestarchildrensanctuary.blogspot.com/. I think I will have to stick today to more down to earth stuff, like turning the washing machine, hanging up the stuff and may be even do some ironing and such stuff. LOL. Sadly enough we cannot play around on the computer all day, there are some "duties"always waiting for us to be done ROFL>! Today I have a winter kit for you, I think tomorrow I will go for a Christmaskit again, okay? This kit is named "Winter Memories". Looks real cold if you look at it, hahaha! Have a splendid day and remember some of the text of the starchildren sanctuary cards. It makes you feel better, for sure! And here the manger and of course my bears! If you click the pics they come out better, and did you see All the lights at the ceiling! It always gives a magic effect to the room! Edna, did you see the presents by the tree??? You see that I keep my promise! LOL. Oh, I'll show you a picture I made of Dikkie Dik on Sunday, waiting in the room for dinner! Here you can see very well his injury! What a spot hey? It's helaing okay, but still will be without hair for some time LOL! So today is an "ordinary"day again, LOL, later I'll have to do the shopping again, I hope the weather will be a little bit nice to me. You can imagine I didn;t do much on the computer yesterday anymore, but afer dinner I gave myself still a bit of time and started to make the shape challenge for the forum. I am afraid I didn't stick to just making some shpes from the brushes, I think it will end up in a small kit again. LOL. It will be another freebie, I guess. What about today's freebie? It is again a Christmaskit, yeah! In a bit of traditional colours, but................it has a Scottish influence. I made papers with a tartan texture and such, so I named this kit "Christmas with My Lassie"!!! I hope you will have fun with it! You all have a marvellous day and enjoy the Christmas spirit! Gosh, I had a quiet weekend! Well, that was a bit done by me. Friday evening Jan went to see some friends in the cafe and then I fell asleep at the couch around 23.20 o'clock. Woke up again when Jan came home and then felt rather awake again and stayed up till about 4.30 in the mornig watching tv and talking to Jan. Then at last got to bed and woke up again at about 9.30! So definately I did it easy that Saturday, although I even got out for a moment. I was lucky I did almost all the shopping already Thursday and Friday! Oh boy, Friday it was baaaad weather overhere. I had a package to send for Christmas so on to first get a box for it, that I did find in the toy shop arond the corner, very nice of them. Then I went to the supermarket, not much further away and packed the box, LOL. Got it sealed in a proper way in the book store next to it(I know my way around here LOL) and then off to the post office. Oh, first went to the drugstore to get my medicine and there I found a big plastic bag for the box. Oh so nice all those people! Why the plastic bag? It was pouring rain outside!!!! When I finally got home again I was almost totally soaked! So much for all that I do for my friends, LOL. Sunday not much going around either. Oh I had a real good night sleep, so lovely! So I catched up with that allright! Then I had planned to start the decorating for Christmas, but it didn't come to that LOL. Although I had a surprise! At a point I was missing Jan for a while, though I heard some funny noises somewhere. Finally I went looking and the sweetie already was getting all the Christmasboxes and stuff from the closet they are standing on! And we decided where to put the tree, and whooooo, it's going to be on another place. So today will be the BIG day, I think I;ll be busy for hours getting it all done! I'll try to make some pics of it and will try to let Jan take some pics too. We'll see how that will go. A click on it should bring it up bigger. I suppose it;s time to give you your freebie, then take another coffee and then slowly get into speed for the decorating. It's not a Christmaskit, that will be probably tomorrow again, now I have "Secret Affair" for you! Hope you can do some great layouts with it. Have a great day, and I will keep you posted of courrse of the decorating stuff.! What do you call a "small"present? And now the most devious thing: she said to me that I couldn't open it until Christmas!!! According to Jan she somewhere must have a sadistic character LOL he said it was almost inhuman to tantalize us that much!!!! Well, I cheeted a little bit, I took the presents out of the box, but I will go no further. They stay wrapped till Christmas, but can you imagine the stress it gives, to see them standing there, every day for about the next 3 weeks????? And worst of all: she is enjoying this LOL . Enough "bad"words about her, I think it's such a sweet thing of her, thanks nutty lady!!! But she has to prepare herself for a little revenge, because Snowy(who also received a box like that!!!) and I cooked up something for her. AHHHHHHHHHHHHH, revenge will be sweet ROFL!!! I gave you earlier already the link to Minky's blog, full of fairy-stuff! But she has added loads of beautiful new cards to it, and you know what? If you want to print them for personal use, or give a card to a friend you can. Isn;t that a nice thing? So here's the link again, http://thecontinentofsulina.blogspot.com/. If you visit her and perhaps download a card, just leave her a little comment. She will love it! I didn't get much to designing yesterday, okay, a little bit, but I was busy on chatting and emailing and shopping, so not too much done. No big harm done yet, I have some"reserve"yet to offer LOL. I think I will offer you today another Christmaskit(and take care: I have lots more!! ), a it in the spirit of "the continent of Sulina"I am afraid, haha. It's named "Christmas with the Fairies", so not a really traditional Christmaskit this time. Now I will have to make sure I will not linger too long at the computer, because I 'll have to finish my "sweet revenge", I LOVE it! Now you all have a great weekend and I'll be back on Monday again! A new blogger in the blogland! Yeah, I was up at normal time today! I am happy, because yesterday I was all lost. So strange, how it has an impact on your rythm! I got a lovely surprise in my mail today. You know I sometimes show you cards made by Minky, from Sulina's Sanctuary. And finally she managed to have her blog! Hoorray for Minky!! She already posted some cards there and I assure you they are baaeuties. So please pay her a visit and give her a little encouraging message in the comment box, okay? Here is the link http://thecontinentofsulina.blogspot.com/. What did I do yesterday? I finished a new kit, I think it;s a real nice one and also made the quote challenge of the forum. I think I will make some more layouts, because I found several quotes I liked. This one I made with stuff from a new Christmaskit, I will offer somewhere this month on my blog. This morning when I was enjoying my first coffee, Dikkie dik sat at the window and started suddenly to make very strange noises. Hmmm, what was the matter. I went over to him and then I saw it: he was looking at a tree, standing almost in front of our house and there were some birds hopping around!!! It were rather big crows. Well, I told him, he couldn't jump through the windowglass and I wouldn't open the front door for him! Now today's freebie. It's a winter kit, but I made some of the papers with lovely posers from http://scrappingbits.blogspot.com/. 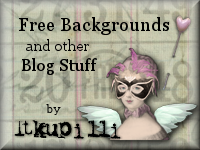 She offers great freebies on her blog, a lot of them also CU! And see also offers some lovely kits for personal use too! And as the seson will start soon for the ice dancing again I thought it would be nice to make a kit with it. Thanks for your visit and have a a magic day! Or I could say almost good afternoon. I woke up, looked at the clock and uttered a few not so nice words. I was so late this morning.! Hmm, I looked at the alarmclock an saw I didn;t set the alarm on!! DOMBO! Well, it doesn't happen too often, so I suppose I just needed it a bit. The only thing is, I have the feeling, I don;t have enough time to do the things I wanted, which is nuts to think. If not today, you can always try tomorrow, LOL! Are you all already in a starting Christmas mood? It's growing slowly with me, but I am sure it will grow fast during the next few days. Just a few more days and I can start decorating. Then the real feeling should be there. It will start, of course, with the argument with Jan, where to put our tree!! Especially this year, with the new couch and such so the normal place for the tree is a bit small and not so handy(in MY humble opinion). But why do I have the feeling, this year Jan is winning the discusion??. LOL. You know what? I think we will manage to have it on the "normal"place we always end up with, and still be able to sit in our usual place. I must get moving a bit now, although I still am not really "in the mood" to hurry up. Ha, I think I first need another shot of coffee and perhaps I will do some things a bit later(although??????? )/ We'll see what happenes. I have another freebie for you, no, not a Christmaskit, that will be on another day again. Today I have "Memory Garden"for you. May be you could say it looks kind of nostalgic? I don;t know. Anyway, have fun with it and have a terrific day! just wanted to warn you about the freebielist of today! you know where to find it, hey, it's in the sidebar! It's a rather long one! You better do it at a time you can have a break from all other things, take your tea or coffee and sit back and just walk through it. I am sure you will find a lot of goodies you can download! Have a great time! Oh, if you download, leave a little thanks for the designer, okay? I have a happy husband at home! LOL. He gave himself a kind of early Christmaspresent and bought a new video recorder. WHOOOOOOO! And the best part of it is that he already installed it, programmed it, well, most of it, tried to record something and it worked!!!! YEAH, applaus for Jan. It was a necessary thing to do, because the old one practically died completely. Now next thing will be for me, oh yeah. I want to have a new cd player. That shouldn't take a lot of money, but I want one! We have one that plays, but it's more and more hopping over, not the best way to listen to music! Oh, Jan got me into laughs yesterday too!It was the day of the lottery again in the cafe, so he went over. And... came back with two prizes again. It are not always the most expensive tings they have there, but most of te time still practical. And if he comes back with something we already seem to have, it sometimes makes a nice present for somebody. Ladies, today is the start of a terrific blogtrain of the World Wide Christmas Scrapbooking Freebies. I told you already yesterday about it. To have all the links of designers who participate you will just have to click on the green blinkie in my side bar and you will certainly have a great time collecting the freebies! As we are in different time zones, you will have to take a look at the blogs perhaps several times to stumble upon the freebie! It's really true that now the itching starts for the Christmas time! I did write most of my Christmas cards yesterday and can send them today. I like to send the ones for abroad at time, you'll never know with the post! And I received already my first Christmascard yesterday! 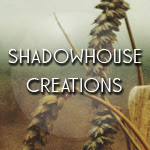 Don;t forget that in our forum http://www.magickalscraps.com/ the new daily download is starting, with a different kind of Christmas contributions, a bit magical, a bit fantasy, a bit out of the ordinary, like a story told by the raven before bedtime! (As we have the Raven in our logo I came up with the title as "Tales of the Raven", got it???). At least take a look, I think you will not regret it! And here is my contribution to the WWCSF blogtrain, a full kit named"Happy Christmas Time". And you will find more Christmaskits this month on my blog! Have a lovely day, take it still a little bit easy, the Christmas stress is already approaching LOL!